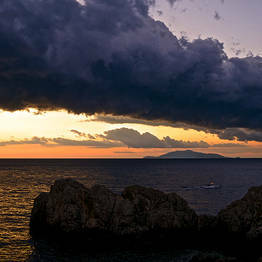 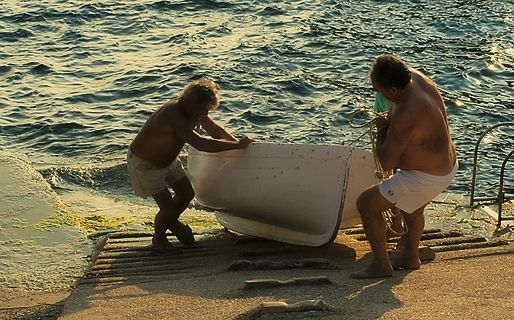 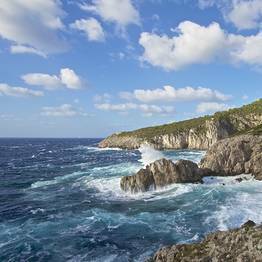 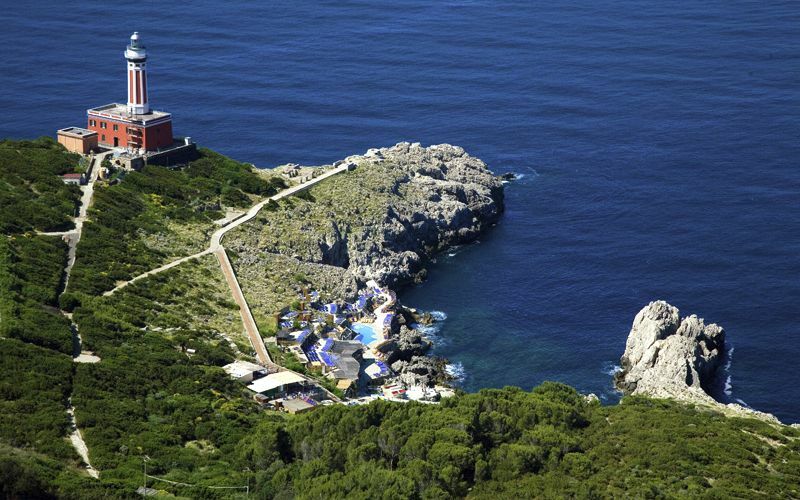 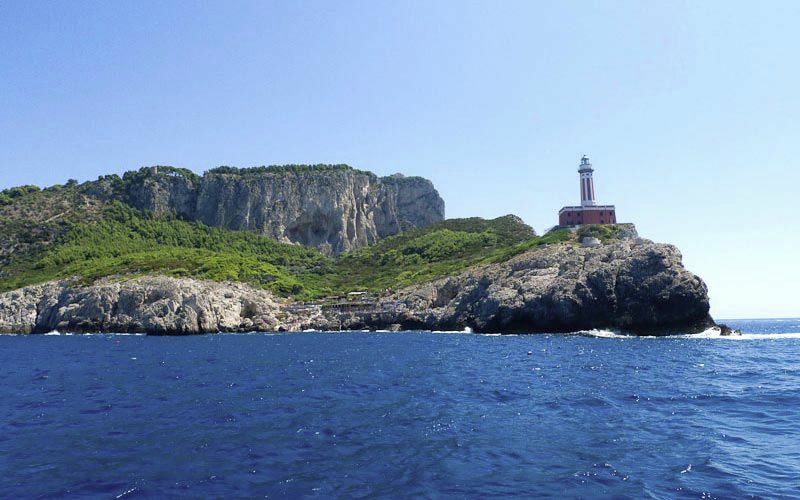 If you ask an islander to name his or her favorite beach on Capri, you will almost certainly hear "Il Faro", or the lighthouse. 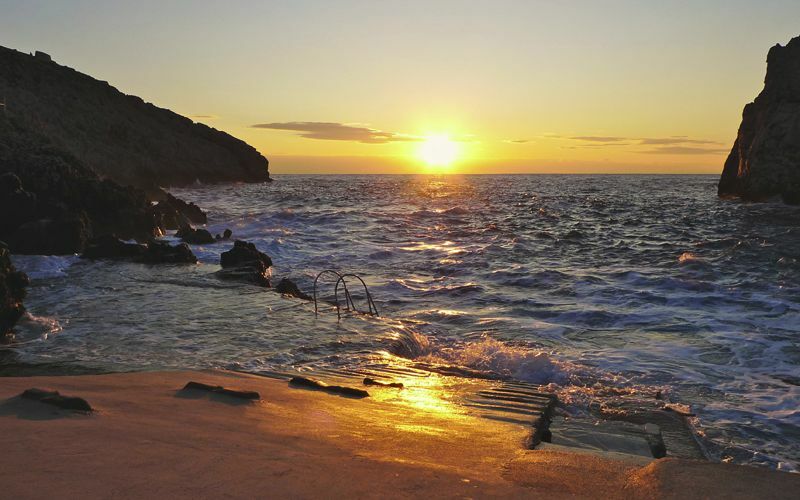 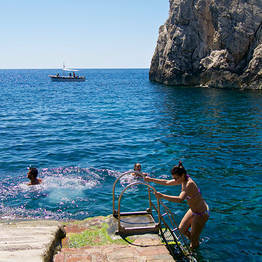 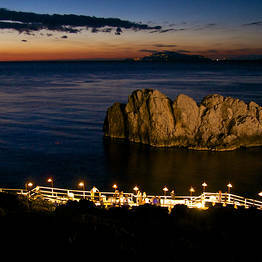 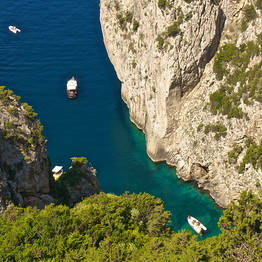 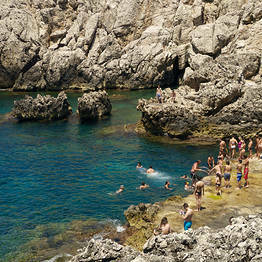 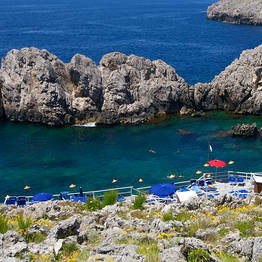 In truth, Il Faro is not really a beach, but more a rocky bay where you can dive directly into the crystalline water. 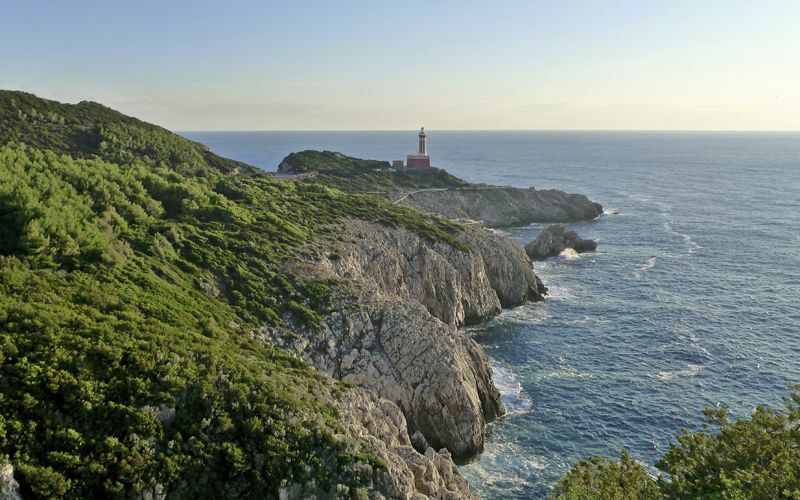 What locals love most about this beach is the imposing lighthouse dominating the point and the sun which shines on this cove from dawn to dusk. 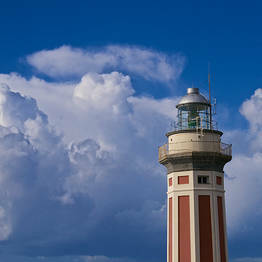 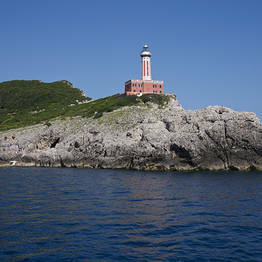 The Punta Carena lighthouse is the second brightest in Italy (after Genoa) and one of the oldest, as it was first used in 1867. 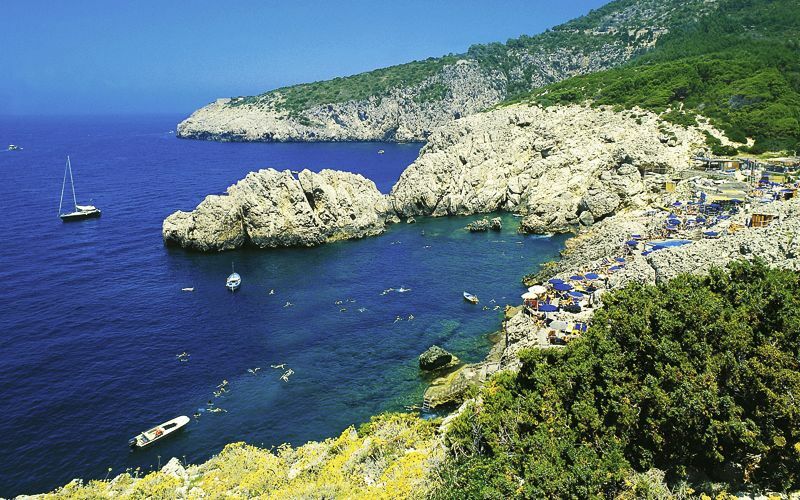 If you walk slowly down the trafficked road which leads from the Caprile quarter of Anacapri, you can savor the views over the dramatic rocky coastline, lined with tiny coves and inlets, the lush Mediterranean flora, the pine grove along the bay, and the stone cliffs, home to the Caciocavallo Caves and topped by the imposing Torre della Guardia guard tower. 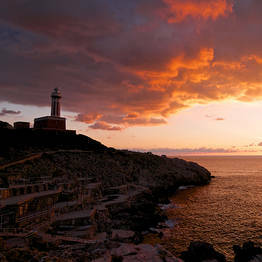 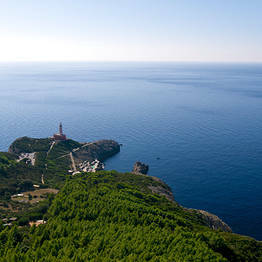 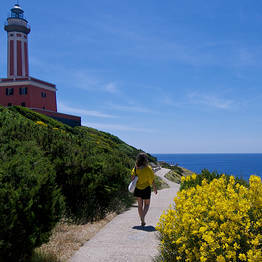 From Piazzetta di Pino just before arriving at the lighthouse, you can visit one of the main forts used to defend the island from invaders in the past, and enjoy the unforgettable view. 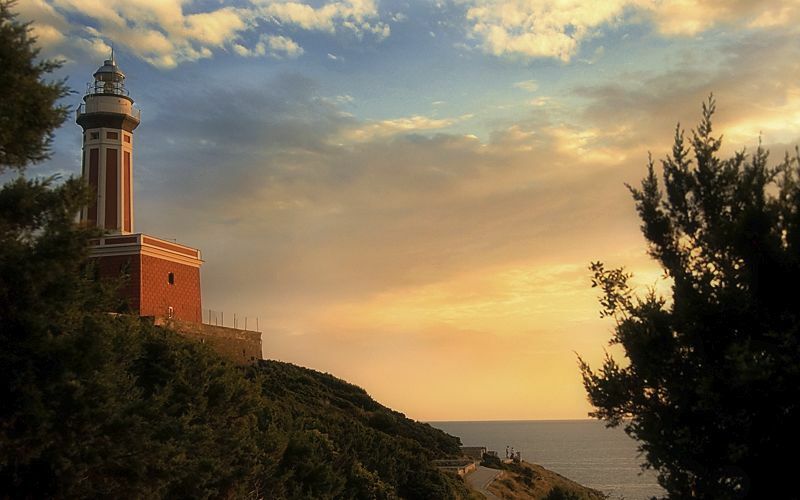 There is a second fort at the base of the lighthouse, dating from the Second World War, from where you can see the Punta Carena bay and the island of Ischia in the distance. 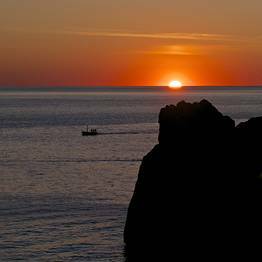 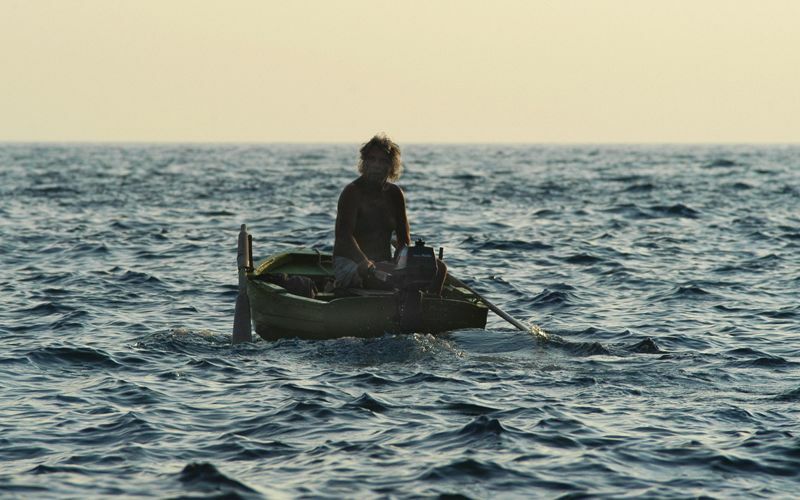 The lighthouse is always relatively quiet and far from the lion's share of daytrippers, but the best time to appreciate its beauty is by far at dusk, when the sun sets over the water and the local fishermen begin to set out with their boats for night fishing. 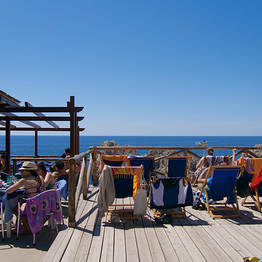 In summer, the two beach cafès often have live music in the evening. 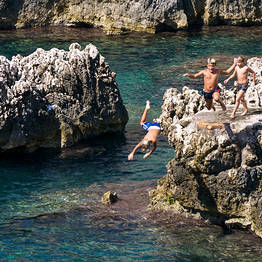 Tours to book online Tours and Day Trips of Sorrento, Positano, and Capri More than 7.000+ tours booked online. 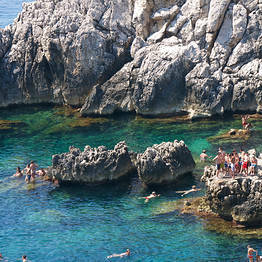 Plan your holiday on Capri.